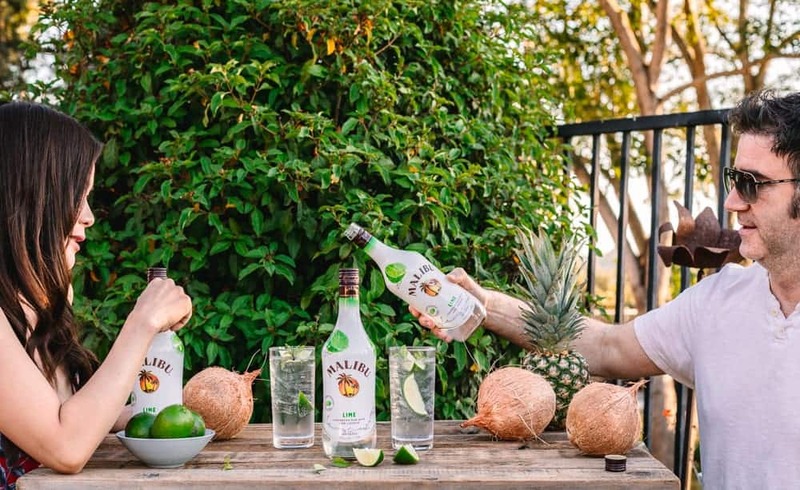 This post is sponsored by Malibu Rum but the content and opinions expressed here are my own. There’s plenty of summertime left to have some great times with friends, from backyard barbeques to impromptu gatherings. With some sun, tropical fruit and a great bottle of Caribbean rum you’re on your way to a fantastic time. 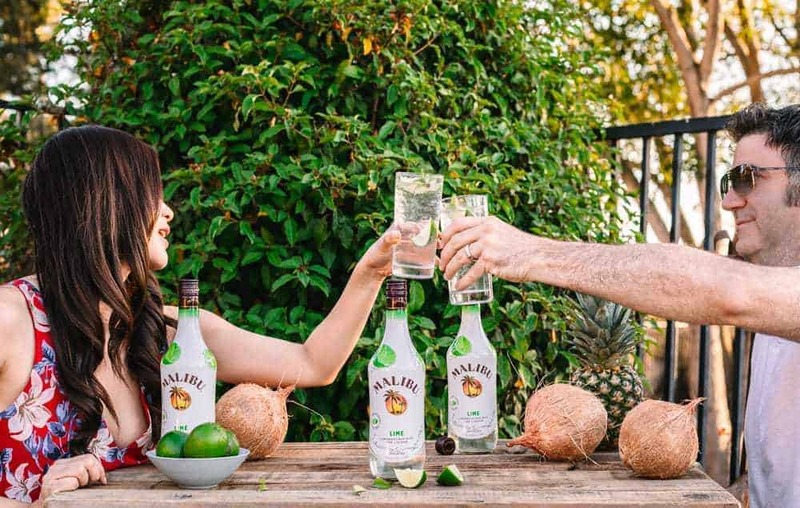 For years my husband and I have enjoyed Malibu Original, and were excited to try out Malibu Lime with a few buddies this past Saturday night. We don’t always get a night away from the kids, so when an opportunity presents itself we love to enjoy some choice eats (either home cooked or preferably out and about), and also mix a few tasty drinks. My husband is a grill master and is pretty good behind the bar, whereas I usually take care of the rest of the food and drink. 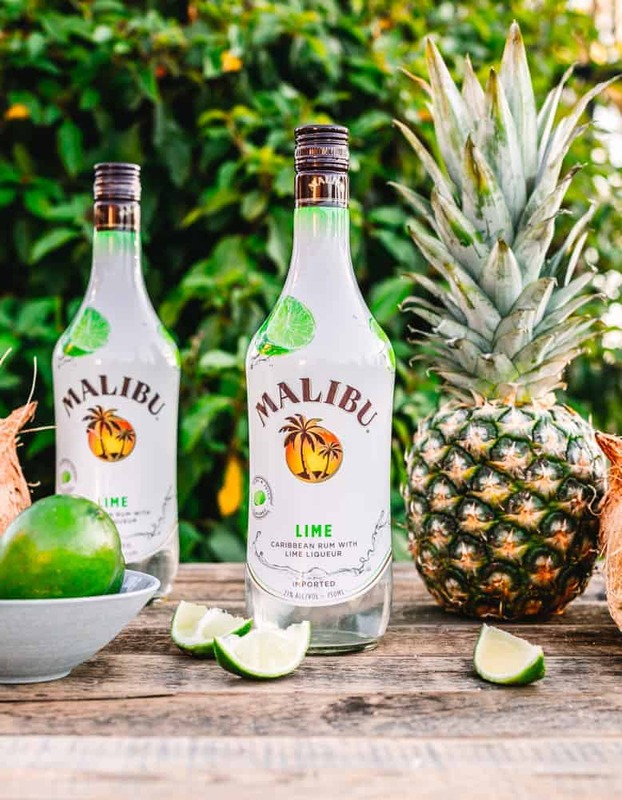 There’s a unique and bold taste that comes with Malibu Lime. I absolutely love the fresh finishing taste it brings. Granted I’m a huge lime fan and find myself using them a few times a week in everything from salads, pies and fish tacos. My husband is similar… in a prior post I mentioned how his favorite drink is a gimlet. Even though he’s a fan of limes my husband didn’t think he’d necessarily like Malibu Lime. Lime is one of those flavors that you either get right or get horribly wrong. 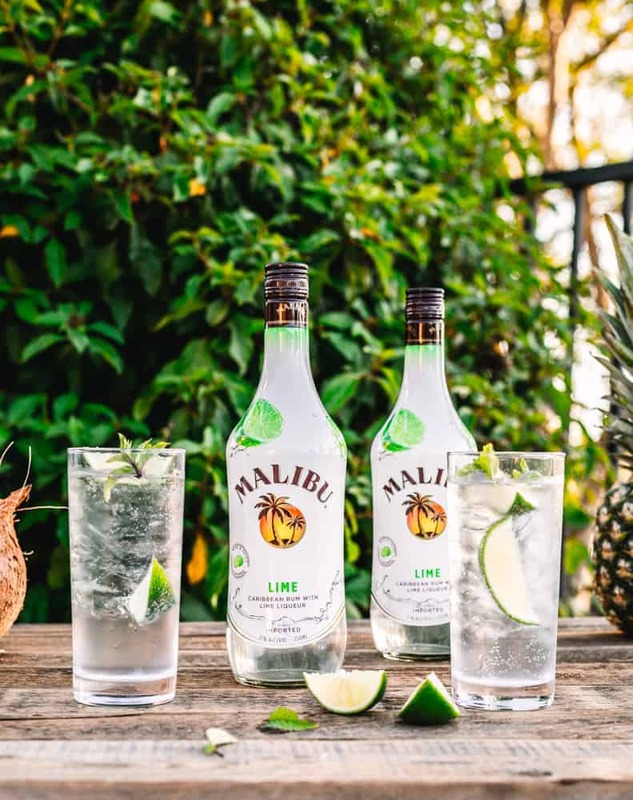 Malibu nailed it, the lime and coconut tastes go extremely well together. I have manually mixed the two together in both drink recipes and in desserts, and having them together in a bottle makes things very easy. We spent some time in the Caribbean a few years back and I fell in love with the rum there, as well as the sand, the water, the music and just about everything else with the Caribbean lifestyle! We were in Anguilla for most of our stay, Malibu is from a few island hops away in Barbados. We were fortunate to stay in an all-inclusive resort during our Caribbean stay. On most days we just toiled around the resort and the pools and restaurants it offered onsite (luckily they were top-notch with a great variety of seafood, traditional island, Greek, and more seafood! The all-inclusive experience is great, but it’s nice to rent a car and hop on some boats to see the rest of the island(s) nearby. Anguilla is a quieter, slower-paced island, and that’s actually what we liked about it the most. 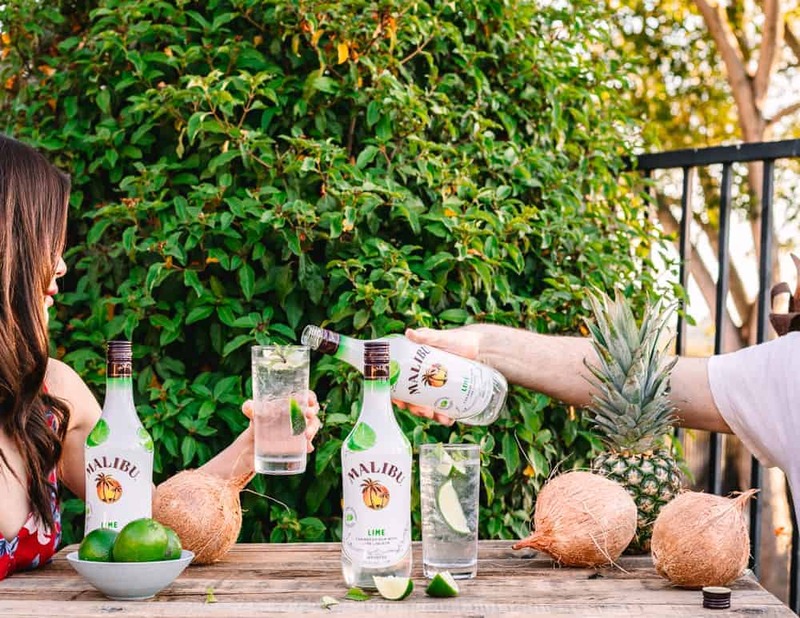 One nice thing about Malibu Lime is that you can take it in so many different directions. The flavor is good on its own (a huge plus for a bottle, I always seem to run out of mixers). 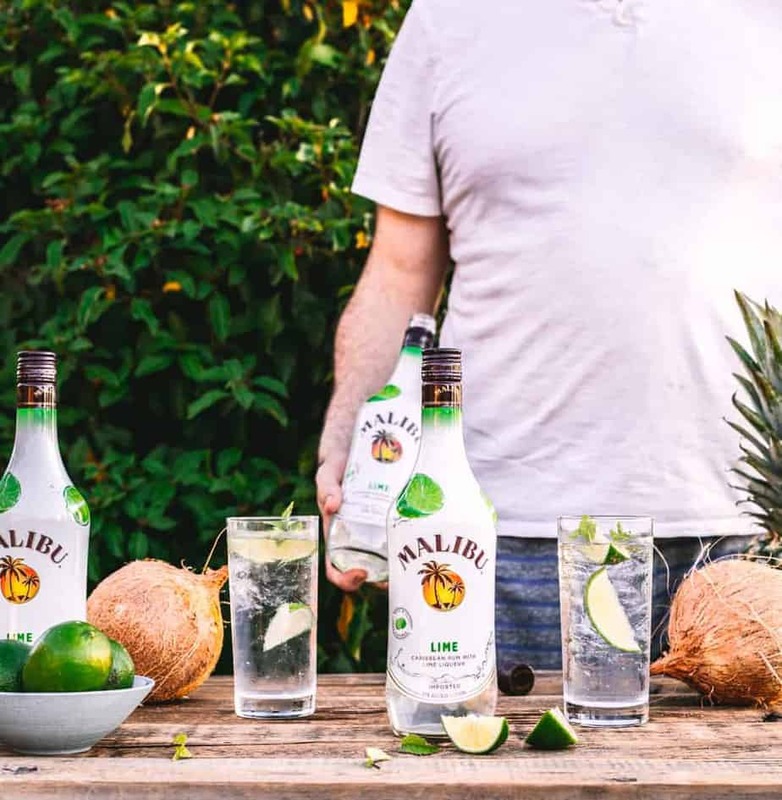 It blends great with tropical fruit juices, but I think I prefer just splashing in some tonic water and garnishes as that lets the coconut and lime tastes shine. A great Caribbean rum takes me right back to that vacation. As mentioned you don’t need much to get a tropical party going. Throw out some leis, coconuts, pineapples and pop on some Peter Tosh and boom, your party is set. Granted, there are a few key things missing from the Caribbean at my tropical parties. Just to name a few: the white sand, clear water and hundreds of bright fish swimming about. I live in a beach city of San Diego and even we don’t have those things…you can’t see much at all through our water (so even if there were fish swimming about you wouldn’t likely see them), and the sand is tougher underfoot. That’s ok, some good friends and some tropical cocktails and I know me and my friends will be having fun!